Enjoy a one-stop chemist software solution to cater all requirements for running your retail pharmacy efficiently with Redbook. Redbook strives to provide intelligent business software for your pharmacy. Our pharmacy software services are adorned with amazing features to boost your productivity. Whether you are running a retail store, or you have a pharmaceutical distribution business, our retail and distribution software ease your work considerably. We care for sustaining customer convenience at every step. That is why our pharmacy software eases filing your GST returns with smart GST options. With Redbook software, you have uninterrupted access to your GST sales and purchase reports which makes filing returns convenient for you. Whereas, the swift export options to Excel further help you in assessing your data while filing tax returns. After the tedious GST implementation by the govt, I can now file my GST returns in just a few clicks! Redbook saves me the accountant’s cost and a lot of time. Alleviate the strain of remembering stock expiry dates, or purchase order schedules and customer orders. With Redbook software, you can now stay updated with the timely reminders and alert notifications. Redbook pharmacy software comes with a user-friendly interface so that you can quickly become familiar with all its features. You will also have ready access to your frequently used options with a decluttered screen. Our chemist software is powered by amazing features that keep your business running round the clock. With smart offline compatibility options, you can now forget about the data backup hassles. Your inventory will automatically be updated as soon as you are online. With Customer Engagement Module, you can now get a 30% rise in the revenue due to repeat orders. We can now set up new sales counters instantly using the Redbook app or website. Hardware issues do not hamper the sales counters anymore! 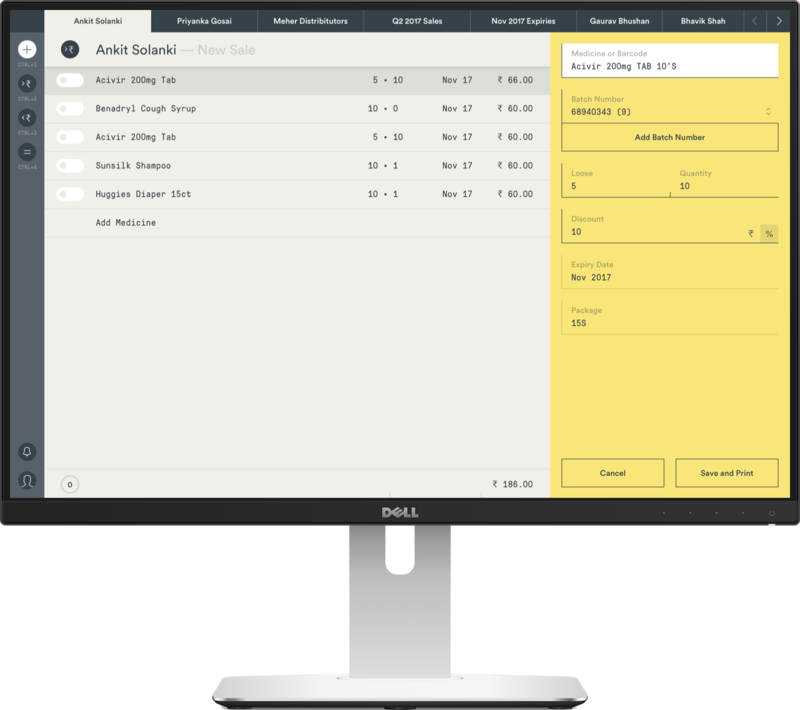 With the smart demand book feature, you can set up the minimum quantities for medicine stock. It thus saves your time to check stock updates and lets you automatically order your required items. The built-in chat option lets you contact us whenever you need our assistance. You can now communicate with our customer support representatives at any time to get an instant solution for any software-related problem. The most exciting feature of Redbook pharmacy software is swift inventory management. Now there’s no need to waste your time while uploading multiple types of files. The smart auto-mapping feature lets you upload the entire invoice in a few clicks. The user-friendly Performance Management Dashboard helps reduce pilferage and expiry claims. Redbook Chemist Software is very simple and easy to use even for first-time computer users like me. I can upload inventory via email in seconds! Let your pharmacy business thrive with the comprehensive Redbook pharmacy software solutions. Whether you need a retail chemist software or a distribution software, we serve it all! Should you wish to know more about our products and services, feel free to get to us by filling out the form below. Thank you for contacting us. Our sales team will reach out to you in 8 - 10 working hours!